If you hadn’t already seen our rates on the website we want to update you on our 2017 rates at Lemonwood. We pride ourselves on offering top quality accommodation at a reasonable and fair rate. So book yourself a weekend away in one of our cottages and you’ll pay R410pp per night (Kids under 12 R325) or book out the main house with friends or family and you’ll pay R485pp per night (Kids under 12 R325). All you have to bring is what you would like to eat and drink and coals etc. for the braai, everything else is provided. There is a minimum 2-night stay at the weekends in the cottages and the house is a minimum of 2 nights at any time. We’d love to welcome you to our little piece of heaven on earth. Email booking@lemonwood.co.za with the dates you’d like to visit and we’ll do the rest. The KZN Midlands is stunning all year round. The seasons are absolutely spectacular and in Autumn or Spring you can experience all the seasons in one day. Here is a quick outline of what to expect, by season, in the KZN Midlands. We hope it will make your planning a bit easier and when you’re ready email us on booking@lemonwood.co.za to stay in one of our cottages or the main house on our property. Summer in the Midlands is the perfect mix of hot days, cooling down as the sun lowers. You can spend the whole day in the pool and at night you can sit on your veranda with a chilled glass of wine refreshed and relaxed. Humidity is not a problem and the breeze through your windows at night will keep you sleeping peacefully. The countryside in Summer is lush green and lit up by sunshine. What to pack: summer clothing, costumes, slops, walking shoes, and a pair of jeans and cardigan should you wish to go out for a meal. It’s hard to beat this season in the KZN Midlands. Autumn is spectacular! The trees turn from green to yellow to orange, then red and brown. It is one of the most beautiful sights when spending a day along the meander. Autumn days are warm and the evenings cool down to light jersey weather. The changing sky colour in the early evening along with the colour of the trees is absolutely picturesque. What to pack: shorts, shirts, dresses, long pants, jerseys, waking shoes. Winters in the Midlands are on the chilly side. Each of our cottages are fitted with a fireplace so after a day out you can cosy up on the couch with a blazing fire keeping you warm. The days can be rainy and misty which adds to the magic of the Midlands, and there are so many divine stops on the Midlands for warm cocoa or a good cup of coffee. The past few years there has been snow all over the mountains which makes your drive into the KZN Midlands most enjoyable. What to pack: warm clothes, closed shoes, scarves, winter pjs. If you love the outdoors then come stay in the Midlands during this season. The trees are bursting with colour, flowers are opening, birds are everywhere and the forest is a crisp cool in the mornings. Spring is still cool so no humidity problems and there are a number of open gardens you can visit in the Midlands or just enjoy being in our space, surrounded by lush forest. What to pack: still warm clothes, but if the days are sunny a summer top is a good idea. We hope this helps give you a better idea of the seasons in the KZN Midlands. Like we said, drop us a mail to book some time out. All you need to know about our accommodation can be found on our website here. Happy New Year!!! Don’t you just love the start of the year? The excitement of what adventures are ahead, what this year will hold. We just love this quote above because it is SO true. 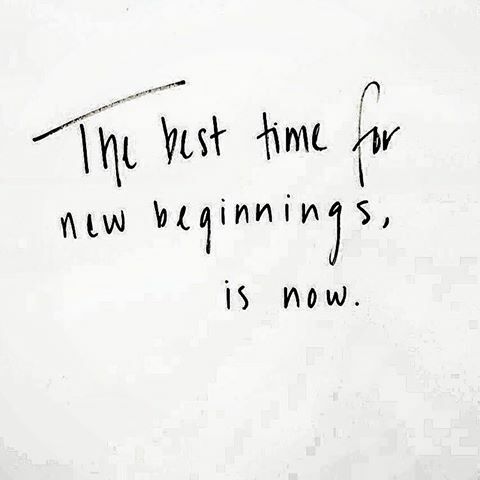 The best time for new beginnings is now! How are you doing with setting resolutions? Don’t go and put pressure on yourself to meet every resolutions with this first mont. We all know that idea will just crash and burn. Be realistic about little changes you want to make, or add into your life. Travel more? Stay at Lemonwood 🙂 EXCITING NEWS: we have a 4th cottage at Lemonwood now, leading right on to the pool. Laze in the sun on your veranda and take a dip in the pool at your leisure. Spend the afternoon walking through the forest with your binoculars, spotting all the gorgeous birdlife around you. Lemonwood is a magical place in the KZN Midlands and we are so looking forward to meeting our 2015 guests. For more info about our cottages and rates visit our website here.